A LENND Interview by Chris Carver. 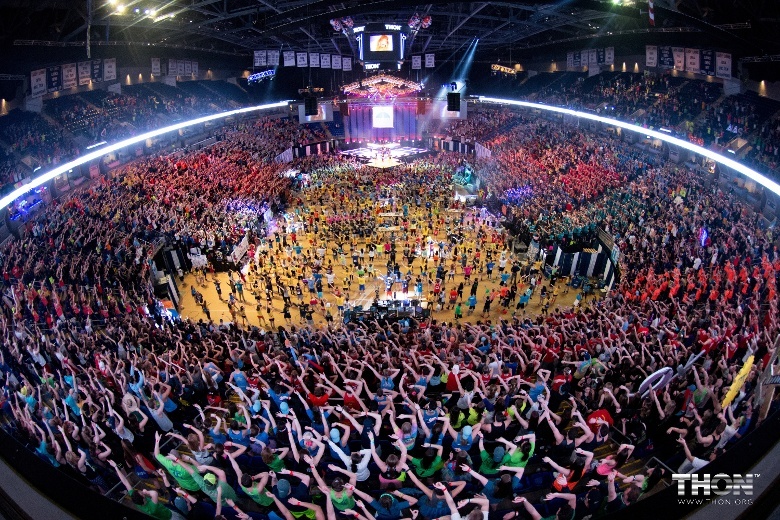 Every year the student body at Penn State organizes a series of fundraising events (in the hundreds) that culminate in one behemoth of an event: a 46-hour dance marathon with over 16,500 students, raising around $10 million a year for the local children’s hospital. Kids these days. As I mentioned, this event is all student-run. That means there is a student leading the charge on all of this. 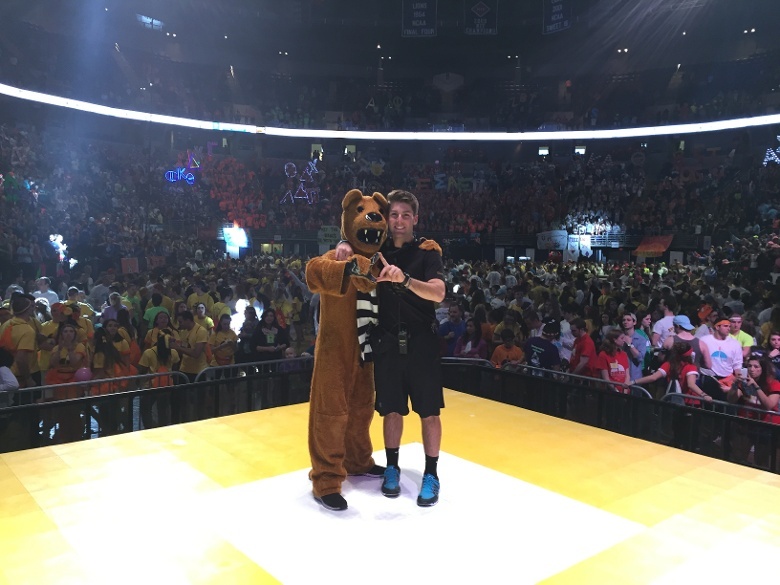 And since there’s not too many college kids (or adults for that matter) that can handle that type of responsibility, I jumped at the chance to learn from the Penn State senior and executive director of the Penn State Dance Marathon, Austin Sommerer. This guy has helped raise over $40 million in his four years of college. Not a bad resume builder. 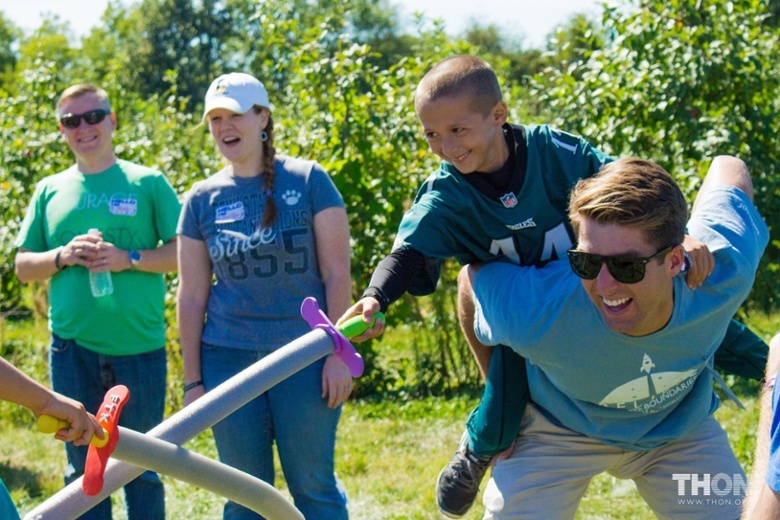 From building a strong community to managing thousands of volunteers, he has a lot to share. Austin, welcome. You ready to do this? Of course. I am honored you’d even think about us. Let’s get a few of the most critical questions out of the way first. If you were a piece of event equipment, what would you be? Definitely a DJ mixer, the soundboard. That’s where everything needs to go through right? It takes a lot of coordination to know exactly what is going into it and then something really cool is able to be produced. If you had a spirit animal, what would it be? Ahh, you Penn State homer. 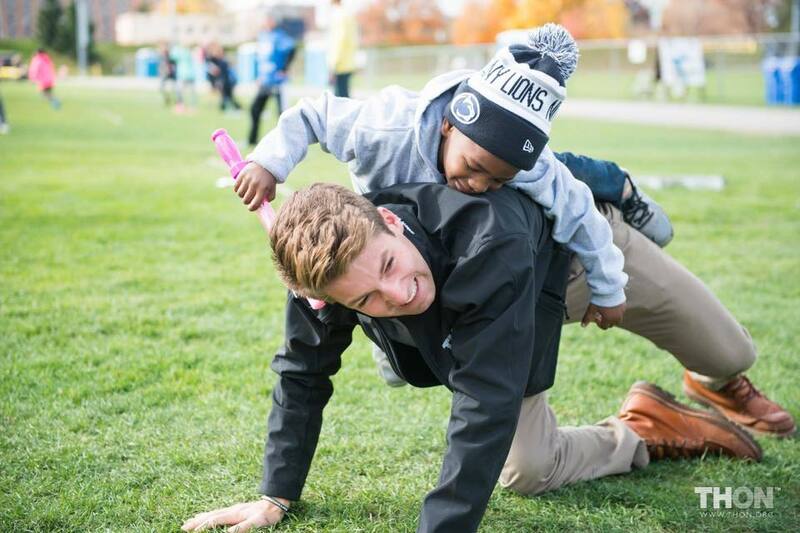 So how do you describe THON to people? Specifically, THON is the end of the 46-Hour Penn State Dance Marathon. We’re a year-long fundraising and awareness campaign in the fight against childhood cancer. Completely student-run. 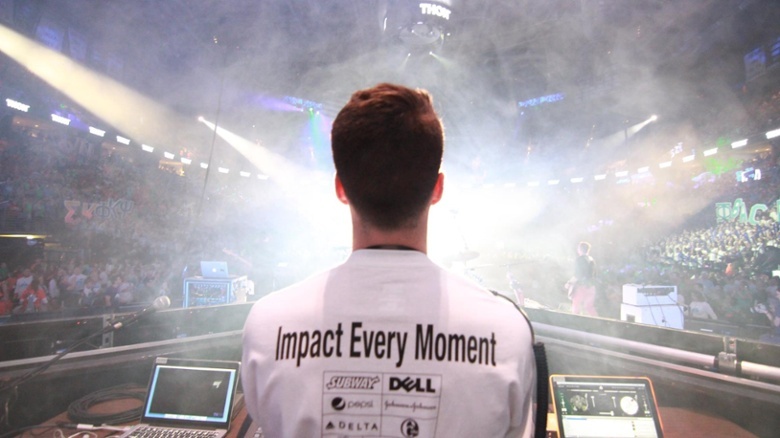 Personally, I would also describe THON as indescribable. 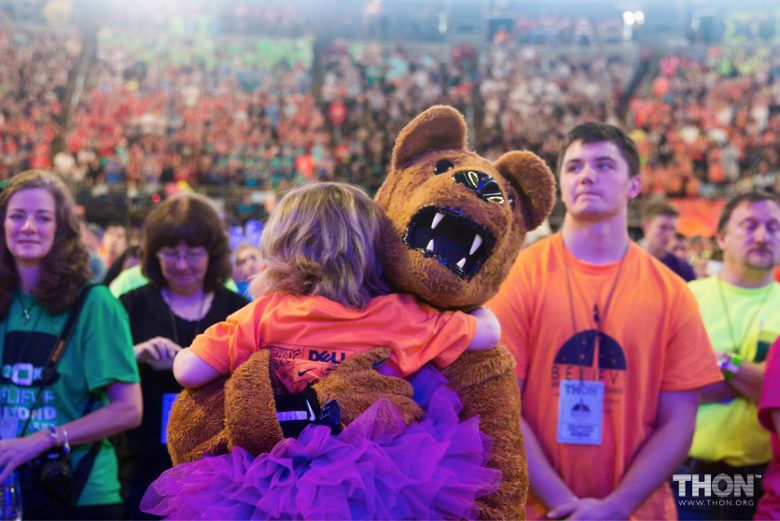 THON in one capacity is the most amazing network for people. As a student and as a volunteer you have this ability to meet and play with children and families who are going through this hard time, but you’re able to provide this outlet, this light (for a lack of a better word), that is really incredible. Then there are thousands and thousands of students who each are able to play a role in planning this 46-hour-plus dance marathon. My parents have known that I’ve been involved in THON since I was a freshman, but 2016 was the first year my dad came to see it. When he walked in he was in tears. I think to just see the production of it and see what students are able to produce is incredible. And this is a drug-free environment? Are there some people on their feet the entire time? YEP. We have over 700 dancers at THON weekend who don’t sit and don’t sleep for 46 hours. So when you give them advice on how to get through something like that, what do you say? I say to enjoy it. Don’t start thinking about how much your feet hurt. Don’t start thinking about how hungry you are or if something’s bothering you. If something is wrong, find somebody and start a fun conversation, or start talking about class, but really find those ways to stay positive the whole time and it’ll really help. One of the hardest components of it is just the mental state of being awake for so long. If you’re able to curb that when it starts to get difficult, and just turn it into a positive experience, they will feel a lot better by the end. ‘Tis life, my friend. ‘Tis life. So what is your major? And the question I’m sure you love to hear most: What do you want to do after college? I really want to go into entertainment marketing when I’m done. Whether that’s in entertainment and event production, or just the producing of events. I’m in the process of applying to jobs and trying to figure out where I want to be located or where opportunities are presenting themselves. Well, you definitely have the resume my friend. So, If you could work on any event in the world, what would it be? I’d love to work on music festivals. I absolutely love music festivals like Firefly or Coachella. I love those kinds of atmospheres. I’d love to see and learn how those types of large-scale events are efficiently run and operated. Well, with 16,500 volunteers, you might be able to teach the industry a thing or two. Do you and your team ever feel pressure to out-do what you’ve done in the past? Of course, there’s a natural sense of competition where you want to continue to grow and do bigger and better. But now we really have a strong focus on the families and what we’re able to do for them. The focus on impact versus just growth has really helped shape the mindset of the community. What is the biggest area you want to improve from last year to this year? Communication. I think that’s a backbone. For any organization to operate efficiently and grow, it takes good communication. So I am looking at how well are we communicating our mission to people who don’t know about THON? How well are we communicating information to people who are interested in participating? How well are we communicating deadlines to people who are trying to fundraise and coordinate things for THON? Communication is definitely one thing that I’ve focused on since day one. And national growth. The fundraising world is a difficult one because there are so many people who are soliciting the same dollars, but by putting ourselves on a national platform or finding ways to get ourselves to new audiences, I think that is what will, in the long term, allow us to grow, support more families, and raise more money. Those are the two things that I’ve been focusing a lot on this year. Are there any systems or tactics that you’re using to improve that communication? This year what we’ve done is separate our email lists into more groups. A big thing we are thinking about is how we’re able to target the information that people are actually looking for. By catering specific information to the people and groups who are looking for that particular information, we are hoping to get a lot more engagement. 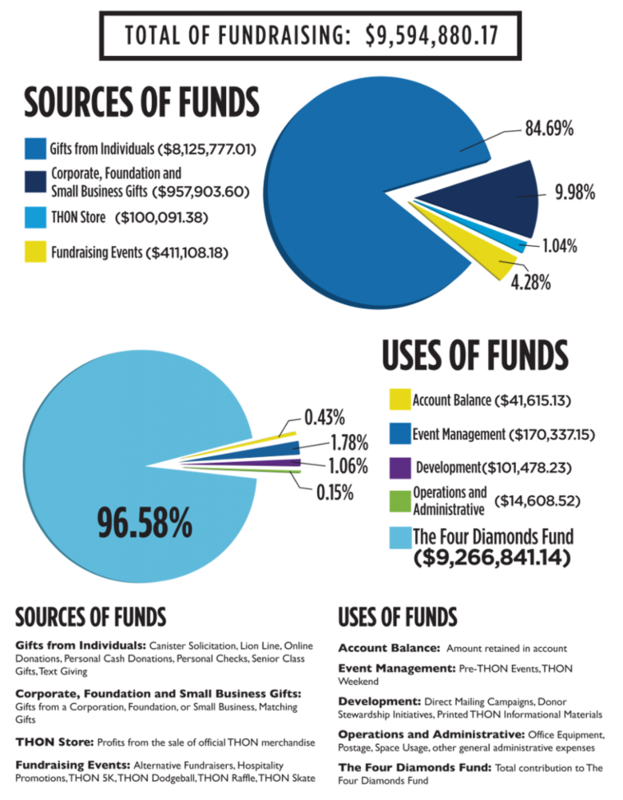 How has your fundraising strategy evolved over the past few years? Our fundraising has gone from a few, very engaging fundraisers to a large variety. We really encourage people to find unique things about their organization that they can turn into a fundraiser. The cross country team does a fundraiser where they run on a treadmill for 46 hours and they raise money accordingly. They’re able to now turn this passion for running into an engaging and fun fundraiser. We’ve seen a lot of organizations step back from what they’ve been pigeonholed into doing in the past, and be really innovative in their fundraising strategies. What are three tips or ideas for other events who are trying to improve their fundraising or incorporate fundraising into their event? First, I would say find ways to engage. People are not going to just give their dollar and walk away. When they give their dollar they’re going to want something out of it and they’re not going to want something physical, they’re going to want a good memory or a good experience or a good conversation or knowing that it is going to something that really is going to impact other people. I think that’s the idea of philanthropy. Second, keep it simple. If you make your fundraising very intense and complex, people are not going to be able to hear the mission of what you’re trying to fundraise for, and they may not fundraise, or they may not donate at all, or they may not donate to the same capacity that they would be able to if they were really excited about their donation and obviously clear in what was taking place. Third, I would say to enjoy it. That sounds cliché as well, but if you don’t enjoy what you’re doing and have passion for what you’re fundraising for, it’s not going to spread accordingly and in turn, turn into donations. I love what I do and I think that trickles down to the entire organization. A lot of bigger events give back or are trying to figure out better ways to be more philanthropic or socially conscious. What suggestions would you have if you were talking to some of the people who are producing these major festivals? 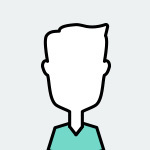 I would definitely say find a way for donors or participants to connect to the nonprofit, cause, or community they are supporting. In our case, we have this adopt-a-family program. An organization is paired up with a family which creates a lifelong relationship with the kids they are actually fundraising for. They’re able to support them emotionally through their treatment. They’re able to stay connected and plan events and go to their houses for dinner. They see firsthand and feel the impact that they are able to make. 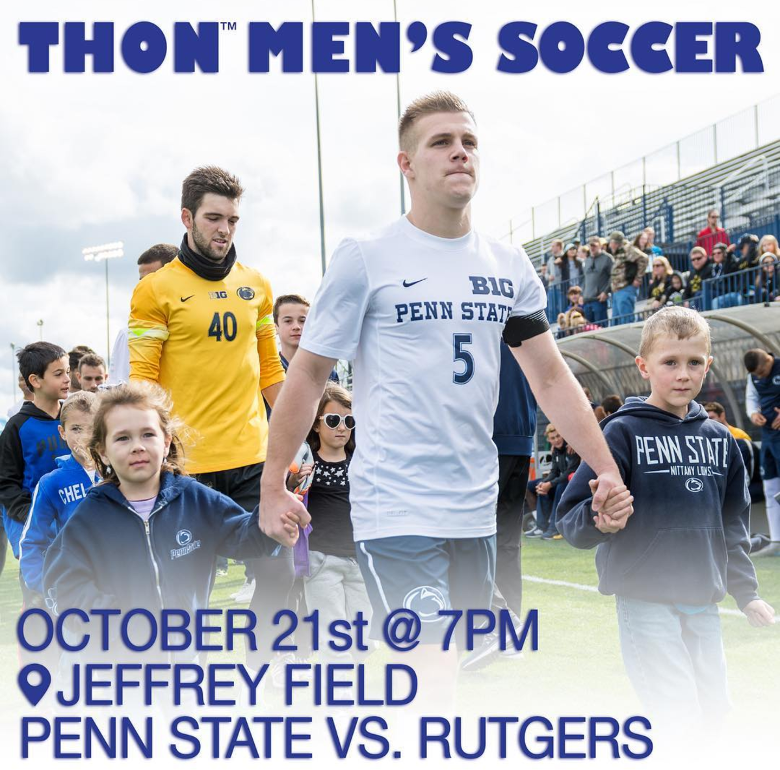 I really think this is one of the reasons why THON has been so successful over the years. So if these organizations are looking to become philanthropic, then my suggestion is to find ways to get people to connect. I’m sure it would lead to a lot of success. If you could give other events some advice about working with a nonprofit partner, what are three helpful tips? First, never forget what you’re doing it for. Second is communication. The reason why we’re able to have such a great relationship with our nonprofit partner, is that we’re very good at communicating with each other on the good and the bad things. Third, work together. If I could spend every day at Penn State Children’s Hospital playing with kids and supporting them in person, I would do that in a heartbeat. If Four Diamonds could be on campus communicating with students and brainstorming ideas, I know they would do that in a heartbeat. However, we both know our respective roles and work together to make sure everything we need to do is being achieved effectively. I know there has to be a balance between the days where I am able to work with kids or students and support them accordingly, and the days where I answer emails for hours on end. This balance allows me to be successful in my duties, and the balance our organizations have allow us to continue to grow and impact more lives. What advice would you give someone coming into your role next year? Hmm. Expect the unexpected. No two days for me are the same. Since you want to get into the event world, what type of experience are you looking for next? I want to have an impact on people. The entertainment industry doesn’t seem like the easiest industry. It could be late hours, nights, and weekends, but there’s something about it that draws so many people to it, so I’d love to hear other people’s reasons why. I’d love to learn about what got them into this field, and then particularly what is keeping them there, because obviously the entertainment industry is a growing and thriving area of the world. Learning about their experience I think would in turn affect my experience greatly. The number one thing is enjoy what you do. I know I am just about to start my career, but I know it’s so easy for people to get caught up in what they’re doing, they forget to enjoy it. That would be my parting wisdom. Chris Carver, the former COO of Invisible Children, started LENND when he realized organizations that produce events needed a better solution to manage the logistics and operations (Excel spreadsheets weren’t cutting it). In short, LENND is the operating system for event production. If interested in a demo, feel free to contact Chris at Chris@lennd.com. Ready to plan a stellar fundraising event?